Your shopping cart has a notification banner that you can enable, disable, or transfer location. 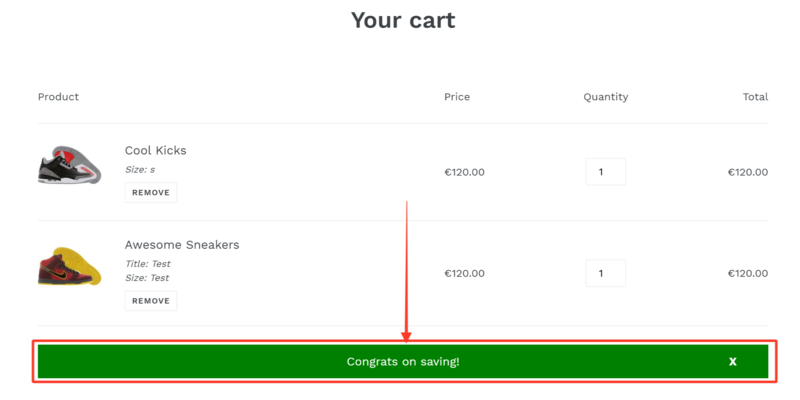 This banner is a short message that appears when the customer has availed of the product(s) on your upsell pop-up. Step2. Scroll down to the Notifications Settings section. Step3. Slide the button to the ON position to show the notification bar and reveal its settings. Step4. Under the Design tab, choose the Bar Background and Bar Text colors according to your preference. Step5. Adjust the Bar Paddings and the Card Discount Summary Font Size according to your preference. Step6. 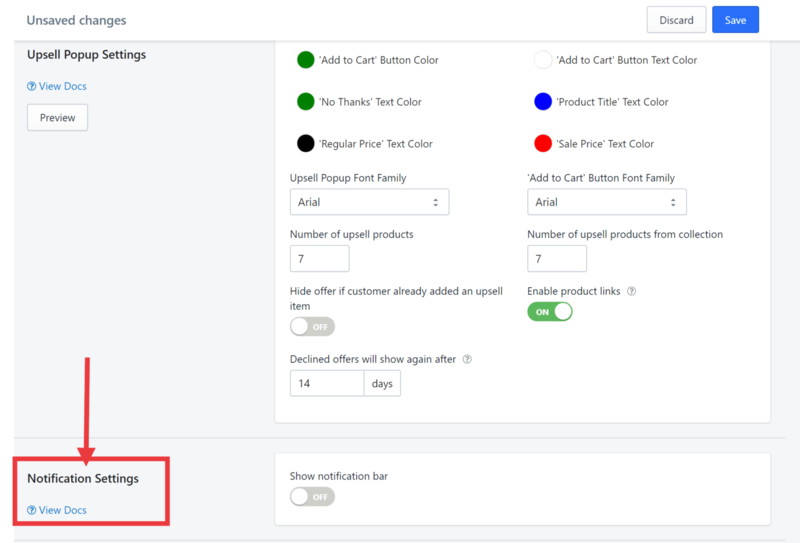 (Optional) Click the Cart Page Placement tab. Step8. You will then be redirected to the page where you can pick a spot for the notification to appear and then click Save. Your notification banner is now modified. If you need further help, please click on Contact Us below!